REI Services for Construction of ROW Bioswales and Green Infrastructure – KC Engineering and Land Surveying, P.C. 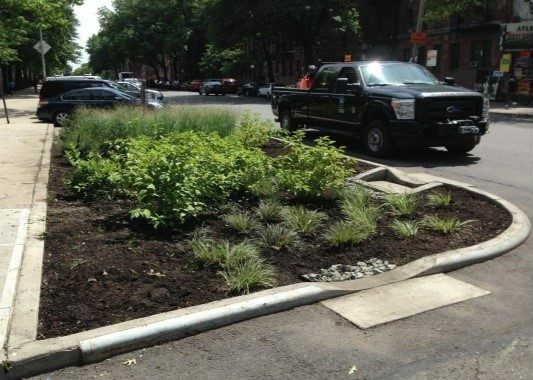 This $7M project consisted of the construction of green infrastructures including Right-of-Way Bioswales and Greenstreets at up to 400 locations in the Borough of Brooklyn. 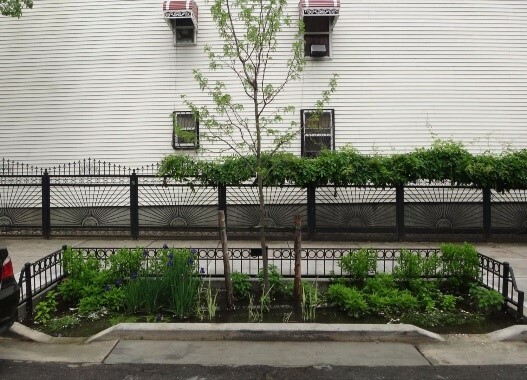 Bioswales are planted areas in sidewalk and parking lanes that are designed to collect and manage stormwater that runs off the street and sidewalk. KC’s responsibilities included resident engineering, inspection, and materials testing associated with the project. KC prepared the daily project diary, the daily inspector reports, conducted all project progress and technical meetings, reviewed and approved the project construction schedule and updates, provided technical guidance, and coordinated the work of sub-consultants for inspection.